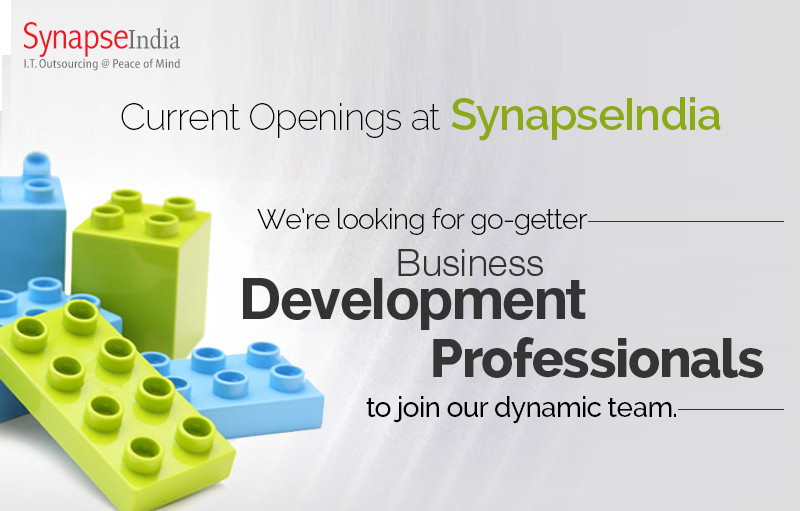 View SynapseIndia current openings for the positions of Business Development Associates on our official company website. As part of our Business Development team, your responsibilities will include generating quality business leads. The positions we have involve a rich role that include from developing strategic proposals and pitching the international clients for the range of IT services offered at SynapseIndia. The prominent IT company, SynapseIndia offers comprehensive range of IT services & solutions to the clients across the world. If you are looking out for an exciting career opportunity and want to make a remarkable career with one of the eminent IT company, take a look at SynapseIndia current openings.